For those embedded in the industry, the enterprise videoconferencing market is changing rapidly with FaceMe, a New Zealand-based cloud web conferencing service, taking full advantage. For those embedded in the industry, the enterprise videoconferencing market is changing rapidly, as it continues to transition from primarily hardware-based technology to one impacted by the growing interest in software-based solutions and video subscription services. 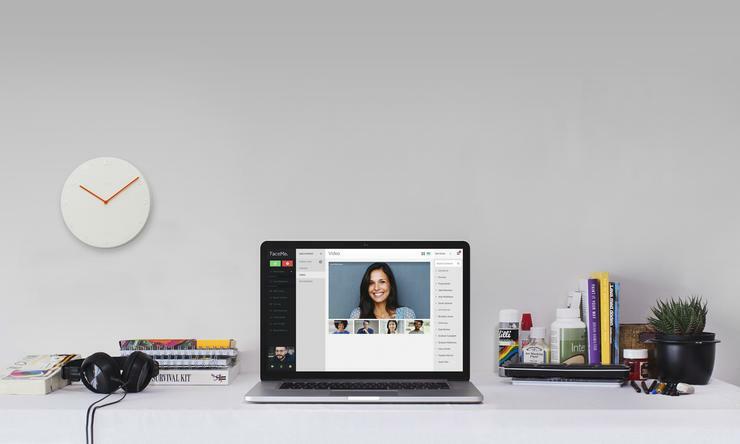 With some analysts predicting the global cloud-based video conferencing market to grow by nearly 40 percent during the coming years, one company taking full advantage is FaceMe, a New Zealand-based cloud web conferencing service. “We’re passionate about video conferencing at FaceMe and as a company we’ve gone through a lot of changes during the past 18 months, as we've sharpened our product offerings,” says Simon Grieve, VP Sales, FaceMe New Zealand. Addressing Kiwi resellers at the Westcon BlueSky 2015 event in Auckland last month, Grieve says the company has come a long way since being established in 2007, as the born-in-the-cloud business braces itself for a bumper 2015. “FaceMe's inception created a world's first in 'no download' web based video communications,” recalls Grieve, who is tasked with further developing the company’s success at a local level. According to Grieve, FaceMe’s point of difference lies in its solution being “completely web-based”, meaning no installation for customers alongside the added functionality of accessing the offering from iPhone, iPad or Android devices. “We also offer the full 360 degree versatility of the software suite,” he explains, “this covers a modular approach (cloud or on-premise) which helps satisfy the outbound/structured collaboration requirements of organisations and the inbound desires of customer contact. Through FaceMe Smart Join in particular, Grieve says that means 2.4 billion users already have everything they need to connect to a FaceMe meeting, whether that be existing video conferencing technology such as Cisco, Polycom, Lifesize or Aver or just using any browser or mobile device of their choice - such is the versatility of the offering. Responsible for leading the FaceMe New Zealand Sales Team across the country, Grieve taps into the local resource in Auckland and Wellington, with the company also widely recognised as a global software business with partners and teams currently operating in Australia and the UK. Leading the way in video collaboration across organisations of all sizes, including SMB through to enterprise, Grieve believes FaceMe is “changing video conferencing” on both a local and global scale. “Right down to the core fundamentals of how the products are developed, it’s about making this technology accessible to all users and managing all of the variables in the best way possible,” he adds. While the company continues to honour its commitment to internationalisation, FaceMe stands tall as a true New Zealand success story, a company making a cloud-sized stamp in a crowded videoconferencing market.